This easy pâté recipe takes seconds to make and sees the comforting flavours of butter beans and artichokes livened up with plenty of lemon. 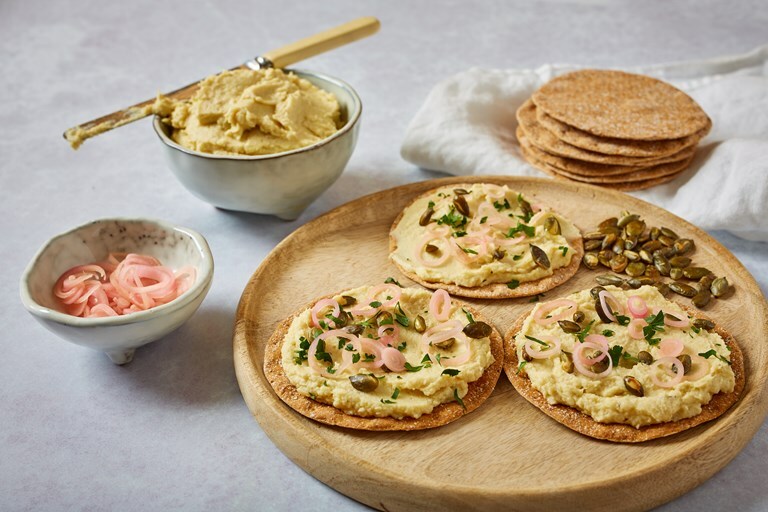 Once spread on Peter's Yard crispbreads, the pâté is topped with quick-pickled shallots for added tang and toasted pumpkin seeds for crunch. Feel free to use a vegetarian hard cheese instead of pecorino if you wish.